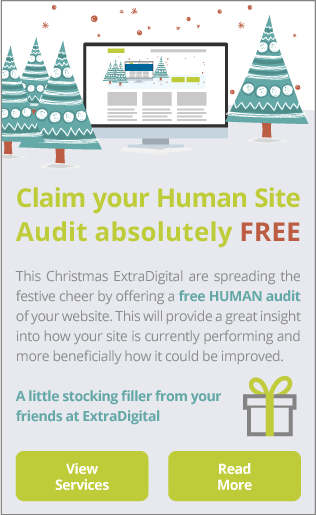 Welcome to the third instalment in The ExtraDigital Guide to Christmas Marketing. This time we are going to be looking at creative and festive Christmas content. Content is King in the world of online marketing, people love interesting and engaging information and we aren’t the only ones. Search engines which define the rankings for your websites also love rich, quality content and therefore it should be at the forefront of any online marketing activities. There just isn’t a better time of the year for getting creative than Christmas. Seasonal content is a great way to catch the eye of your customers and potential customers. Anything that is relevant to your brand, products and customers. It needs to be quality, unique content that is interesting and shareable, plus it also needs to solicit an emotional response for maximum effect. 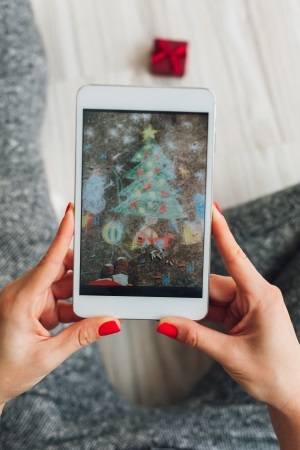 As stated in the first instalment of The ExtraDigital Guide to Christmas Marketing, don’t underestimate the importance and value that social media is going to have this year for Christmas. Good ideas for content are top tips and ideas, anything short and sharp for easy digestion, but do so with some personality and flare. Nostalgia is very big this year so harking back to golden Christmas’ past will stand you in good stead. No matter what it looks like, whether you want to go for a classy grown up Christmas or go all out in a cheesy animated fashion, the most important factor is that it catches the customer’s eye and has stand out calls to action. The need for clear calls for action is very important at any time but even more so during the festive season due to the sheer number of marketing tactics, advertisements and offers around. You need to make sure you content is not just catchy but supports the need for immediate action. Sales can be pushed by the use of time sensitive deals and offers in your content. Or even through the use of incentives such as free delivery, access to otherwise paid customer support, bonus gifts or discounts on future purchases. Christmas is the time to be generous after all. Imagery used needs to be relevant and high quality as these are often the most eye catching part of your Christmas content. Don’t skimp on the quality. Consistency is needed – keep a theme and branding to all your Christmas content so they can be tied together by your prospective customer who is likely to see your content across multiple channels and devices. Use transparent backgrounds on any adverts you create, as a transparent background helps to lift the advert off the screen in the eyes of the viewer. Spend time writing the copy for your content, it needs to be crafted with care for maximum effect. Ensure that short attention grabbing headings are used. Remember that you can test your content in the run up to Christmas to hone what works best. Don’t get stuck in a rut, vary the content to keep things fresh and stop your customers from becoming blind to your messages. 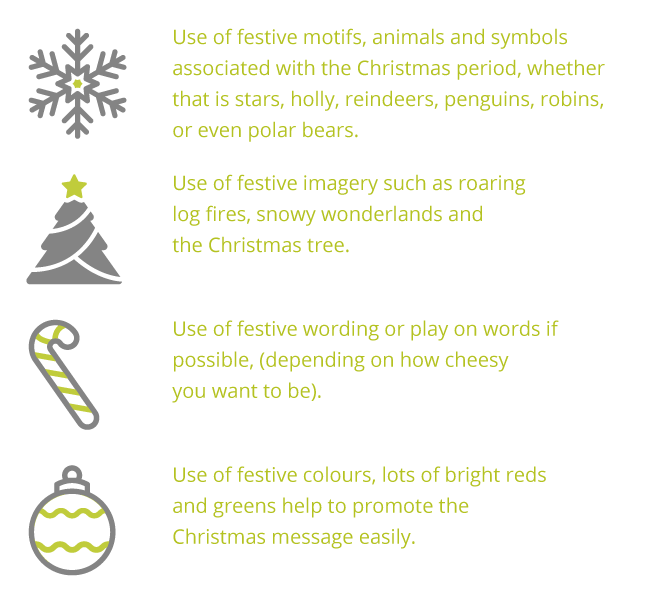 Ensuring these factors are taken into consideration when planning and creating your Christmas content means that you will create some truly magical adverts, blog posts and information for your customers. If you are looking for help in creating engaging Christmas content for your marketing activities then contact the team at ExtraDigital today on 01227 68 68 98. We have a wealth of experience in writing and creating a wide variety of content that converts. Leaving you time for the trimmings.